Auchan S.p.A. has been developing an environmental sustainability project for several years, aimed at reducing the raw materials used in the production of its own-brand products. 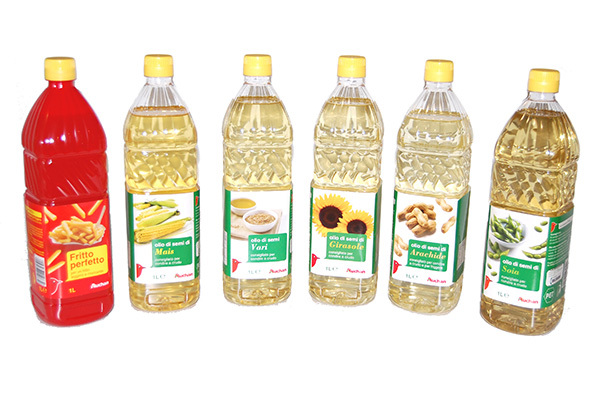 To this end, it has enacted a project to reduce the weight of the PET bottles used as containers for 6 types of oil: peanut oil, sunflower oil, corn oil, soybean oil, mixed oil and frying oil. Thanks to the project, the supermarket brand was able to reduce the PET container weight by around 10% and maintain the same bottle-size as before. The change involved the volume of raw materials employed in production and thus reduced the environmental impact of the container through its whole lifecycle proportionally to the reduction in raw materials.